The plan involves moving the weapons to the Civilian Marksmanship Program, which includes its facility in Anniston.Congressman Rogers says it’s a win-win because the pistols are placed in very capable hands at the Civilian Marksmanship Program and it also saves taxpayers roughly $200,000 per year.The M1911A1 pistol was once the standard sidearm for U.S. armed forces. Rogers says a little over 8,000 of the 100,000 pistols were sold to law enforcement and transferred to foreign countries for a small price. The rest are in storage.The CMP will inspect, grade, and prepare the pistols to be sold. It will also reimburse the Army for any costs associated with moving the firearms.Congressman Rogers announced the plan after the passage of the National Defense Authorization Act of 2016. It’s part of the House Armed Services Committee.”This is an issue that a lot of people didn’t know about,” Rogers points out. “I’m sure a lot of collectors around the country are going to be happy that these are going to be available to them.”The chief operating officer of the Civilian Marksmanship Program in Anniston tells WVTM 13 in order to buy a pistol, you must meet four requirements. 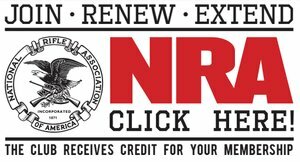 You must be a U.S. citizen, have proof of membership to a CMP club, have marksmanship safety training, and successfully pass a background check.